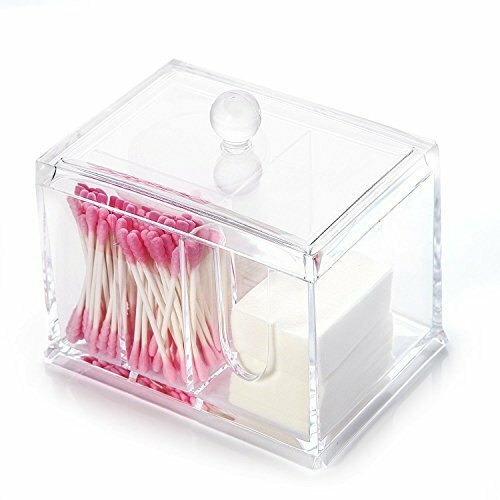 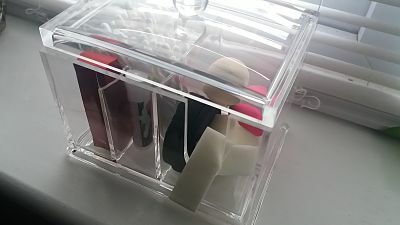 Keeping my bathroom neat and tidy isn't going to be a problem now with this lovely storage container with lid , it has 4 compartments so now I can keep all my cotton buds , makeup sponges and wipes all together . 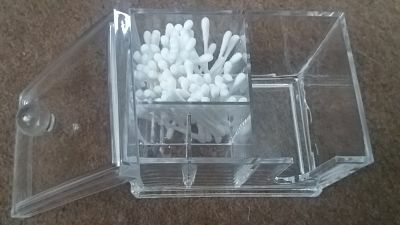 With its handy U shaped hole I can easily grab a make up wipe with out taking the lid off. 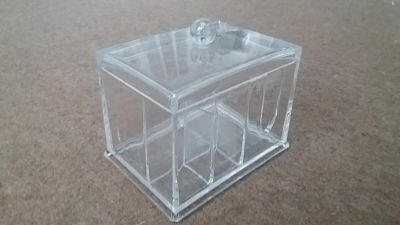 The container is also clear which means A) i can see if i need to refill but B) this will go with any style decor can go in any room , It looks really stylish too. 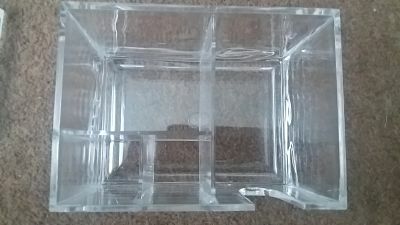 The organiser is 5.5 inch by 3.95 inch by 4.3 inch .